∼ October ∼ 08 ∼ UGG Boots! I don’t care how many style magazines and fashion websites tell me that Ugg’s are out! I will still wear them! Always! When I die the Fashion Gods will have to pull them off of my cold dead feet!… But, well now, my feet won’t be cold at all, will they? 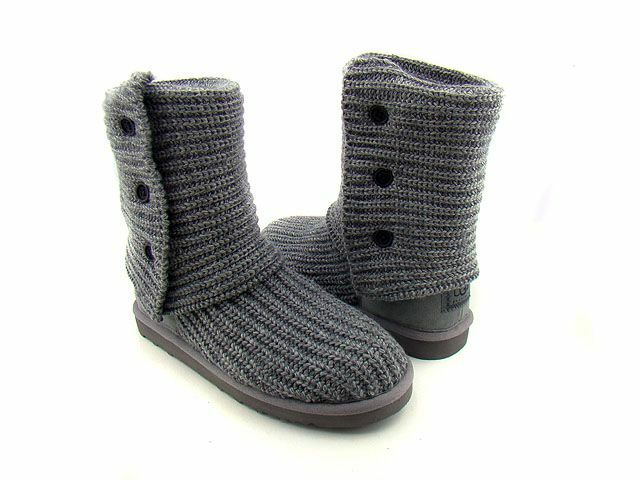 They will be all nice and snugly warm thanks to my comfy, cozy UGG boots! Happy Fashion Friday! Ugg style boots date all the way back to World War 1! Pilots wore them (then referred to as Fuggs) to keep their feet at a consistent temperature while they were flying. By the 1930′s, Australian sheep shearers sported these boots to keep them warm. In the late 1960′s, surfers were wearing them before and after catching some gnarly waves! By that time, Uggs were being produced throughout Australia. It wasn’t until 1998 when Cameron Diaz was stomping them around Hollywood, making them the envy of everyone in town… and then the US… and then the world! I adore them! I am not a huge fan of wearing them with mini skirts and Daisy Dukes, but on a chilly day with some jeans or leggings, I always slip on my Uggs! Victoria’s Secret has a great selection as well as UggAustralia.com. 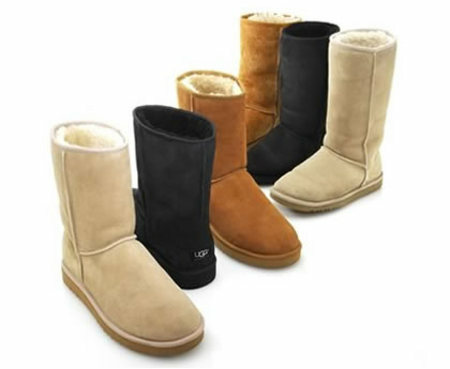 There are lots of places you can get your Uggs, but BEWARE OF FAKES! Click here for a list of authorized online retailers and here to find a retail store in your area. Real Uggs are totally obsess-worthy, fakes are not! Go out and get your pair this weekend and enjoy the cold weather! OMG OBSESSED! *Guys* You can wear Uggs, too!! !